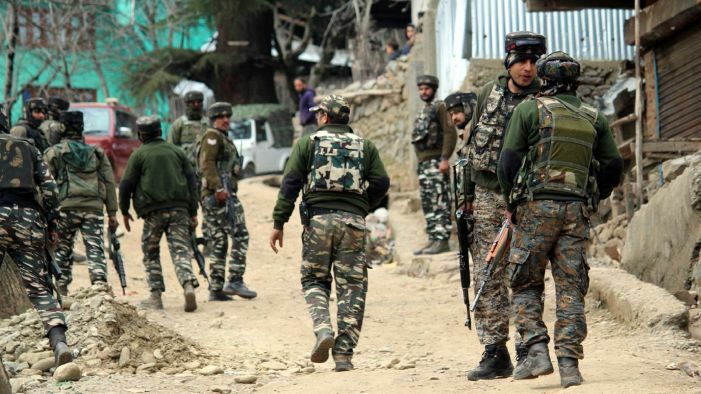 Shopian: Two unidentified militants have been killed in ongoing encounter between militants and government forces in Memander area of South Kashmir’s Shopian district. Reports said that two unidentified militants were killed in an encounter and operation is on. Earlier joint team of army, CRPF and SOG launched cordon and search operation in Memandar on specific inputs about the presence of militants. As forces intensified searches towards suspected spot hiding militants fired upon government forces triggering an encounter, he said.